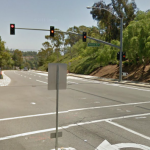 COSTA MESA (July 20, 2013) – Motorcyclist Gregory Anthony McNally was involved in crash on Saturday night that took his life. The accident happened at 3141 Harbor Boulevard south of Gisler Avenue around 9:15 p.m. According to police, McNally was riding a Kawasaki motorcycle when he collided with a GMC van. 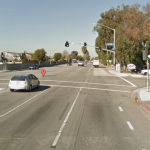 McNally was rushed to Western Medical Center in Santa Ana where he later died from his injuries. The Costa Mesa resident was 30 years old. The driver of the van was identified as a seventeen year old female. A passenger in the van was also taken to Western Medical but their condition is unknown at this time. Reasons for the crash are still under investigation. If the driver of the van is found to have caused the accident, the driver and their insurance can be held liable for the wrongful death of Gregory McNally.